"These classes have dragged me back from injury twice being a keen runner and triathlete, they are very focused but low impact. Lesson learned is to keep up the strength training. I recommend it to compliment any sport." People want the same thing - great results. With this method you get improved posture, core-strength and flexibility through unique stretch and strength techniques enhanced with the foam roller and now with the magic circle (resistance ring). Isometric movements from Barre Concept are adapted for the floor, resulting in a conditioning class for the core, upper body, legs and buttocks, plus specific stretches and mobility work. Use of small props (bands, weights & balls) adds variety. Total body resistance workouts that lift the buttocks, tone the thighs, flatten the abs and sculpt the arms, while protecting the joints. Set to music Barre Concept incorporates isometric contractions for a cardiovascular element. Max 12 places for group classes ensuring optimal attention and feedback. Private tuition available in your own home or designated studio: duets, 1-to-1 or groups of 3-5. Perfect for beginners and improving technique. You can book classes through Mind Body or Move GB. Through Mind Body you will benefit from the Barre Studio Brighton 10% (BSB 10) package, while Move GB is best for people who want to incorporate classes from other exercise tutors or gym providers into their fitness schedule. Your first 3 classes for only £28! (one per client). Valid for 28 days from first use. Represents 1 class free (3 classes for the price of 2). Any 6 classes, valid for 60 days from first use. Fewer classes than 8 Class pass (below), but valid for longer. Develop techniques and skills progressively week by week and benefit from a discount by attending regularly. Save on each class while retaining the flexibility to book different classes when you want. Any 8 classes, valid for 30 days from first use. More classes than 6 Class pass (above), but valid for shorter time. Got a valid 30 or 60 day pass? 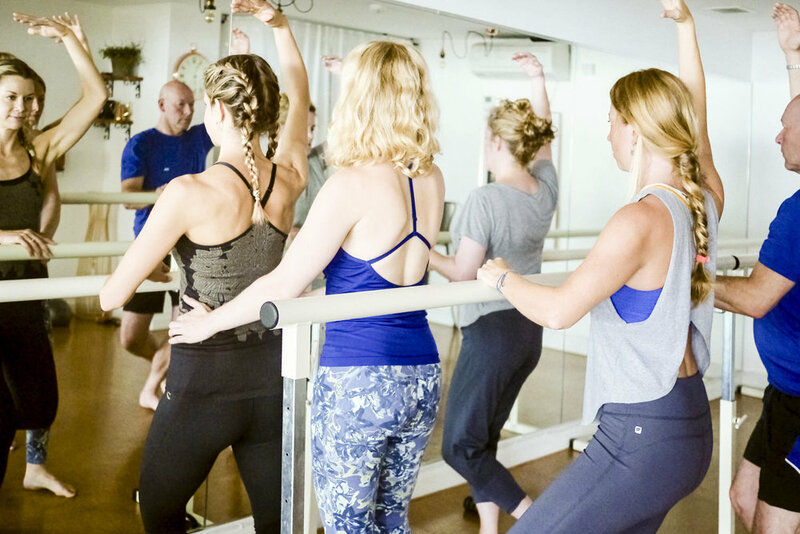 Get a 75 min private Barre Concept, PIlates or Floor-Barre class for £35 instead of £45. HIghly individualised training. 10% off a 30 or 60 day class pass for partners. You must have a valid pass at the time of purchasing the second. Get 10% off every massage at Brighton Wellbeing Clinic on presentation of a Barre Studio Brighton Privilege card (stamped and dated within one month of the massage booking). Heal yourself with naturopathic and functional medicine and nutrition, health screening, food intolerance and deficiency testing. £10 off your initial consultation with Monique at Healthy-U Nutrition. Booking through Move GB won't give you the privileges above but you can incorporate classes from exercise tutors or gym providers other than Barre Studio Brighton. Cost averages around £60 per month. There is a £10 charge (chargeable via the Move GB portal) for missed classes & late cancellations, under 24 hours. 1-to-1 - BarreConcept, Pilates or Floor-Barre: £48 for 1hr (Or £285 for 6 sessions) held at Studio 11, Open Market (home visits prices separately upon application. Your first massage (60 minutes including consultation) with Barbara at The Brighton Wellbeing Clinic is only £30 (instead of £55) and 10% off thereafter. During the 15 minute consultation, Barbara will determine which combined therapies will best meet your needs (these may include Soft Tissue, Myofascial, Swedish Massage and Hot Stone Therapies). This will follow with a 45 minute integrative massage. Please note: you must present Brighton Wellbeing Clinic £30 Promo flyer at your appointment to receive the £30 offer (these can be obtained from Amanda). The pace of classes are rated Deliberate, Moderate or Accelerated as a general guide, but you should do what feels right for your body and ability. Pay attention to the level of the class as well as the pace. Intended to challenge you by connecting you to the work. The instructor may include more details about the form or movement of an exercise, slow the tempo of an exercise or pause within a class more frequently to explain a concept or movement pattern. A basic level of competency of the exercises being taught is assumed. There is a greater focus on flow and continuous movement compared to deliberate classes allowing for necessary pauses (for example, if a movement needs clarifying), but limits stopping as much as possible in order to achieve flow in the class. Designed to challenge precision and control while increasing the heart rate and the level of concentration required. These classes tend to be taught at a higher level but may also be found at lower level classes. With the exception of a few specialty classes, the assumption is that the exercises are familiar to the student. Amanda is the only certified Barre Concept© instructor in Brighton. Drawing on 9 years teaching experience in Pilates, she has helped people of all ages to overcome or improve back and other musculoskeletal disorders, ranging from Sciatica and myofascial pain, to shoulder complaints and chronic conditions. It's really important that clients enjoy a great workout, with safe, effective movements and easy to follow instructions that they can incorporate into a daily routine. Both the Pilates and Barre Concept routines are challenging yet fun and functional. Whether it is restored function or improved performance you are after, as long as you are prepared to apply regular effort to your routine, these classes will help you achieve great results. The easiest way to book a class is to login to Mind Body via the app or browser. To discuss your individual needs please call Amanda directly on 0794 4008533. Alternatively, use the form below or email hello@barrestudiobrighton.co.uk. 'Barre Bumps' are special Barre Concept classes for pregnant women. The examples below give you flavour of the activities during a class. These classes started in October 2018. Get in touch to book your place.